CEO of Systematic Holdings – Mr Chan Tai Pang was featured in SOAR, a publication by DP Information Group that highlights 50 exceptional business leaders in Singapore that contributed to the country’s economy. 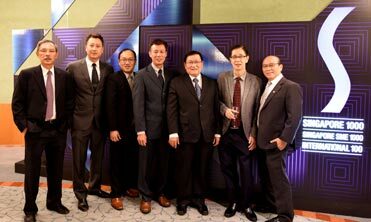 Mr Chan was also invited to the SME 1000 Gala Dinner on 26 February 2016. The dinner saw other business leaders and trailblazers that were featured alongside Mr Chan in the SOAR publication.